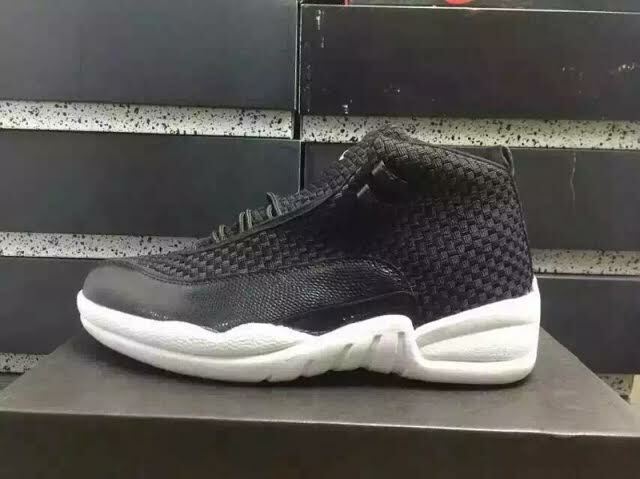 Have You Seen The Air Jordan 15LAB12 “Black”? Jordan Brand's Lab Collection continues with the Air Jordan 15LAB12. The white rendition debuted a couple weeks ago, and many of us had mixed feelings about the new silhouette. Coming as one of the more unlikely hybrids, the sneaker utilizes the Air Jordan 12's build as well as the silhouette's mid/outsole. As for the rest of the shoe, the woven upper comes directly from the classic Air Jordan 15. This colorway of the Air Jordan 15LAB12 looks to have a similar color palette as the Air Jordan 12 "Playoff." Black on the woven upper matches the black leather mudguard as the rest of the shoe is covered in white. This is the first look at the upcoming Air Jordan 15LAB12 “Black," so if you want to see more of the sneaker stay tuned to SneakerShouts as we keep you updated! While we search for more info, let us know what you think of the Air Jordan 15LAB12 “Black!"